As an avid reader of many different literary mediums I find myself commonly engaged with many different types of audiences in discussions and debates on all kinds of issues. It is not uncommon for me to discuss articles from political magazines with friends, find myself marveling over new comics with fellow nerds at a comic shop, or occasionally pouring over ideas about a book I’ve just read as part of a reading club. Each of these used to be done completely in the presence of others. I had to leave the house and there was true effort involved. Time and technology are changing the format for our discussion. The efficiency and crossover use of the media makes plenty of sense in a technological front, the logical finish to our bevy of smart phones, tablets, E-readers, etc…is one device which takes care of all of those devices. The cost, however, seems to be far more than just the hundreds of dollars you’ll be shelling out in order to afford the technology. There is an added cost that is the loss of face-to-face social contact. All kinds of media are quickly growing in the amount consumed in their digital forms. 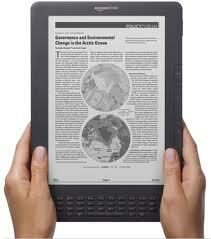 E-book sales have been trending upwards and are a major force in publishing. This story about DC Comics digital effort, by Mashable, highlights the rise of comics being in the form of digital media. The digital frontier is working with many different forms of the literary medium. 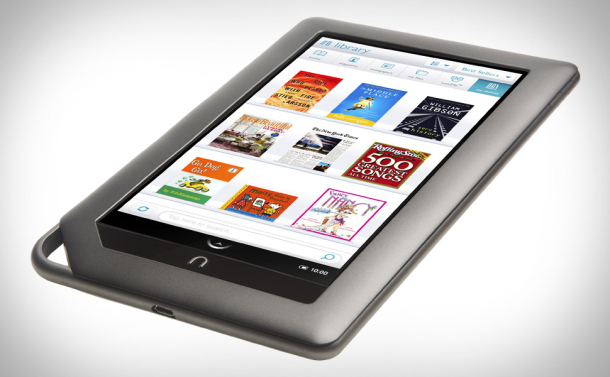 Just this morning the Barnes and Noble franchise (which in an effort of transparency, I do work part-time for) released information of their new product the Nook Tablet. It brings the user not just the ability to consume the literature that the company is known for as streaming services like Netflix and Hulu are integral parts of their marketing pitch. Amazon, currently the top of the bookseller ruling through the online market, has their own line of digital devices that are increasingly taking chunks of the actual physical market and pushing them toward the digital side. The Kindle line of E-readers has been a major force in what could be over 11 million E-readers in readers hands by the end of 2011. Ultimately, where does this leave us? Will this truly be a detriment to our society and contact with each other? Also, as far as printed forms of media go, how long will they continue? Will turning the page be nothing more than a saying in the future?